WE ALSO HAVE "FREE RANGE" BROWN EGGS & HOMEMADE BUTTER,CHEESE MADE WITH OUR MILK. COME VISIT US SOON & BRING THE WHOLE FAMILY! 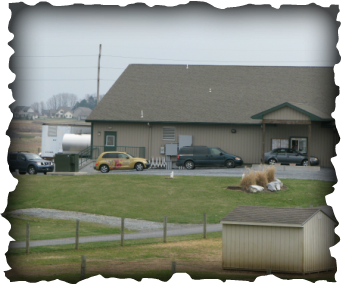 Our dream is now a reality, come to our family farm for "Fresh Milk & Homemade Ice Cream. "Taste the difference it's Farm Fresh"
Eat your Ice Cream right in our store or sit on the porch and enjoy the animals grazing near by, or watch us planting & harvesting our crops. Inside we have large veiwing windows where you can view our processing plant. We offer the convenience of a drive up window. Want to get it fast and easy? Try the drive up we will hand our products right out to you.